For $12.99 you can get a deluxe CD. 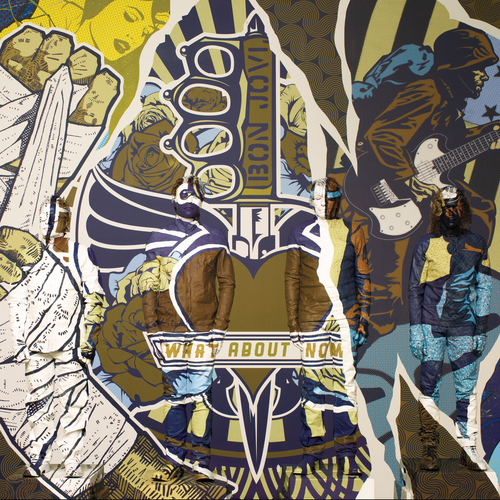 For $53.95 you get the Gold bundle: a deluxe CD, The Fighter t-shirt and an iPhone case. No Android love here. For $395 you get the limited edition Platinum bundle, which is everything in the Gold bundle except that the CD is signed by the band. So I now know that the autographs of Jon Bon Jovi, Richie Sambora, David Bryan and Tico Torres are officially valued at $341.05. 90-second previews of each song are also now available on iTunes. Bon Jovi returned to Buffalo for the first time since the Have a Nice Day Tour and played a pretty long set with a seven-song encore. Were you at the show, and if so, how was it? Bon Jovi headed back to the States, specifically Pennsylvania, after a few shows in Canada... Were you there? Next stop on the Because We Can Tour: The newly renamed (for the weekend, anyway) Bon Jovi Center at Penn State. Bon Jovi's Canadian tour continued in Ottawa overnight. Jon suggested Amen would be the second single from the album. Were you at the show? How did you rate it? The Because We Can Tour heads to Pennsylvania tonight. New song I'm With You made it into Bon Jovi's second night in Toronto. Were you at this show or the night before? Some of the vaguely Valentine's Day themed songs from Bon Jovi's February 14 show in Montreal. Do you have a favourite? Which ballad do you think they should have done? Bon Jovi's Because We Can Tour continues in Toronto tonight. Bon Jovi's signature song is the latest release from Alex Goot, one of several "YouTube musicians" who have made a name for themselves online by covering popular songs while also releasing original music. What do you think of his take on Livin' on a Prayer? Valentine's Day at the Bell Centre with Bon Jovi brought, somewhat unsurprisingly, a few extra "love songs." Still no Always but my personal favourite Bed of Roses got a whirl. Who was at this show and/or the previous night in Montreal? How would you rate it? Bon Jovi's Because We Can Tour rolled into Canada last night and this is what they played. Very early days yet but the sets have been pretty similar so far. Not to mention there are more Lost Highway songs being played than there were Circle songs during much of The Circle Tour! Personally I'd like I Love This Town dropped permanently and I have no love for We Got It Goin' On either, but I can understand why they play it. Also, I've harped on about this on previous tours but Always is their biggest worldwide hit and should be a staple. Bon Jovi plays in Montreal again tonight (Valentine's Day)... Wonder what we'll get? Bon Jovi scraped through a potential PR disaster overnight with the late cancellation of the opening show of the Because We Can tour. The show at Mohegan Sun was set to kick off the widely anticipated tour, but with a severe blizzard in Connecticut, a state of emergency declared and driving bans in place, there was no way most of the ticket holders were going to get to the concert unless they'd somehow had the foresight and finances to arrive at the resort almost two full days beforehand. Still, reports for most of the day were that the gig was going to take place as planned with no refunds offered to those who couldn't make it. Which would have been both greedy (Fans have already paid the money) and irresponsible (There are always people who are willing to risk their lives, not to mention a fine or jail time for driving during a ban, just to see their boys). The worst snowstorm in over three decades would have been a small gust of wind compared to the shitstorm Bon Jovi was facing if common sense hadn't prevailed, and I'm not sure even the band's most super-ardent defenders could have saved them from that. Luckily, the right decision was made in the end, even if it took a lot of social media raging to get there. The concert was rescheduled for October 25, 2013 and Bon Jovi performed a free gig for the approximately 2000 people who had managed to get to the venue. And the big kahuna himself, Jon still came out looking like the good guy after being cast as the villain for most of the day. Meanwhile, it looks like the Because We Can Tour will kick off in Connecticut at Mohegan Sun on February 9 as scheduled -- blizzards, state of emergency and all. They are streaming the first 30 minutes live on BonJovi.com from 8pm New York time (pre-show from 7:30). No word on whether any ticket holders who can't physically get to the show will be offered a refund but I suspect not if the show does go ahead. The second of four videos for Because We Can will be released on the Bon Jovi app this weekend too. You only have until February 6, 2013 (not sure what time zone) to be on the big screens during Keep the Faith this tour. Install the Viddy app on your phone or tablet and setup an account. Using Viddy, record a 15 second video of yourself shaking maracas (or get creative and use whatever you have!) to “Keep the Faith” in front of your favorite hometown landmark. Add the hashtag #becausewecan to your video. You have to get the video in by Feb 6 to be considered. 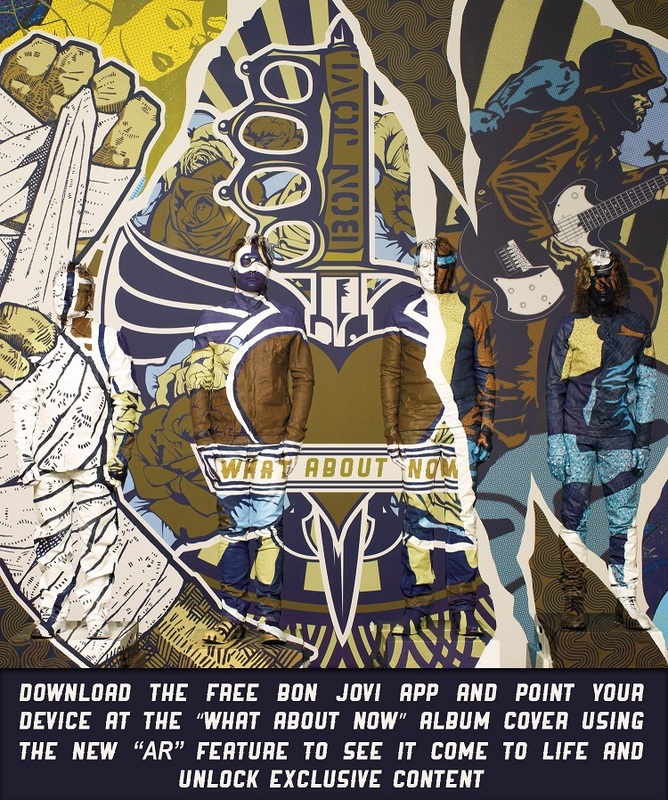 Download the Bon Jovi app via mobile roadie or the Google Play (for Android users) or iOS App Store (Apple users) if you haven't already. Open the app (Music will start autoplaying but you can stop/pause it) and click on the Augmented Reality tab. Point your device at the image below. The animation should start along with a clip of the title track. Tap the animation for a video of Jon Bon Jovi talking about the track Not Running Anymore. Also, the Because We Can image at this link now unlocks other content, including the behind the scenes video of Because We Can. The Behind the Scenes vid is also on YouTube.